In AD 533, Eastern Roman Emperor Justinian began the attempted reconquest of the territories of the fallen Western Empire from the barbarians who overran it the prior century. 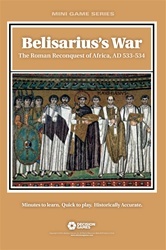 Leading the first of those campaigns was the great general, Flavius Belisarius. 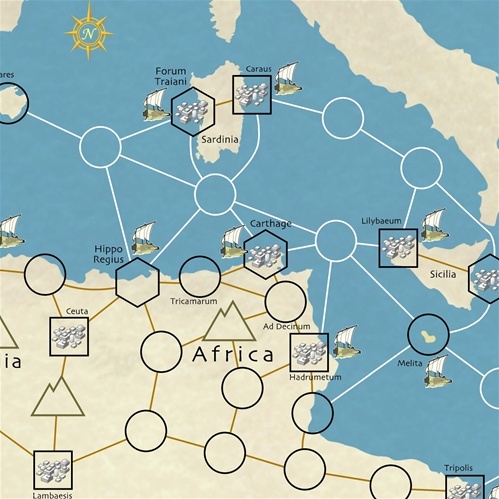 Belisarius’s War is a two-player game of the Vandal War, in which the Eastern Romans reconquered North Africa. One player commands the Romans, the other the Vandals. Both players maneuver units representing elite regulars, tribal warbands, fleets and militia. The point-to-point map covers North Africa as well as the islands of the Western Mediterranean. 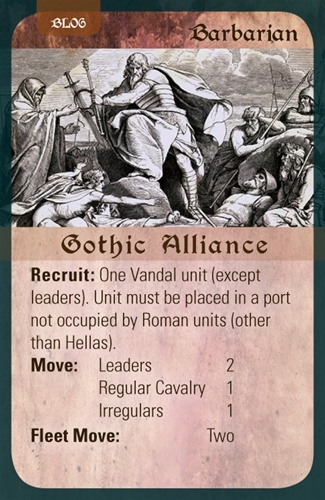 In Belisarius’s War each player has a unique deck of Campaign Cards. They generate recruits, movement abilities, special bonuses for combat, and historical events. 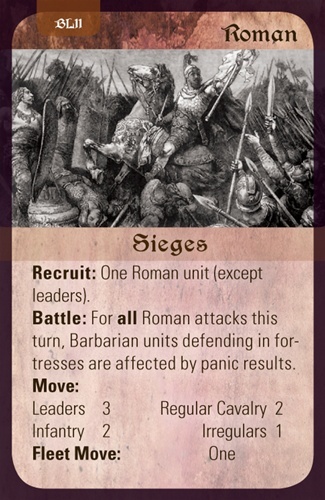 Some of the cards include: Naval-Land Campaigns, Organize the Exarchate, Ambush, and Procopius. Combat is resolved via a quasi-tactical procedure. Each side has unique advantages, with fierce Vandals pitted against disciplined Roman heavy cavalry. 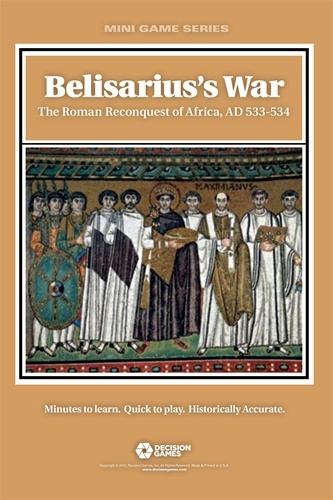 There are special rules for Huns, rebellions, morale and leaders such as Belisarius. Having the right commander at the right battle can mean the difference between victory and disaster. With clever, simple rules and not too many counters; Belisarius is a cracker of a little game. 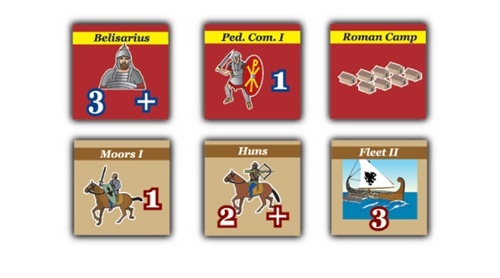 Our five campaigns so far have resulted in three Roman and two Vandal victories. Now that our little group now understand the trick to winning as the Vandals, the games are always full of suspense. Will attempt to convert this to a campaign base for De Bellis Antiquitatus miniatures battles and report back on the success or lack of in a couple months.